If you enjoy the aesthetic expression and dynamic range of the flute, Vivaldi Music Academy has the right teachers for your flute lessons. We offer Flute lessons through an innovative and engaging curriculum for flute students in Houston. Students will start with the fundamentals of flute lessons, such as proper tone production, finger placement and breath control. More advanced and experienced students will develop proficiency in intervals, longtones, articulation and vibrato along with learning significant repertoire and incorporating core principles in their flute lessons. Vivaldi Flute Lessons provide a comprehensive music education that includes theory, ear training, sight reading, technique, and history. Our locations both in Bellaire and West University offer flute lessons for your convenience. One of the first flutes appeared in Greece and Etruria as early as the 2nd century BC! Originally made of wood, the flute is now made from silver or gold and is about 2 feet in length. Today, the flute is a part of the highest-pitch woodwind section of the modern orchestra and is one of the solo instruments most utilized by composers. Famous flutists include Sir James Galway, Jeanne Baxtresser and Alexa Still Others, like Robert Langevin of the New York Philharmonic are orchestral players. The latin heritage of Viviana Guzman and Nestor Torres come through in the jazz style. Did you know that George Washington, James Madison and Leonardo da Vinci all played the flute? Rock bands also have flutists such as Tim Weisberg or Ian Anderson of Jethro Tull fame. 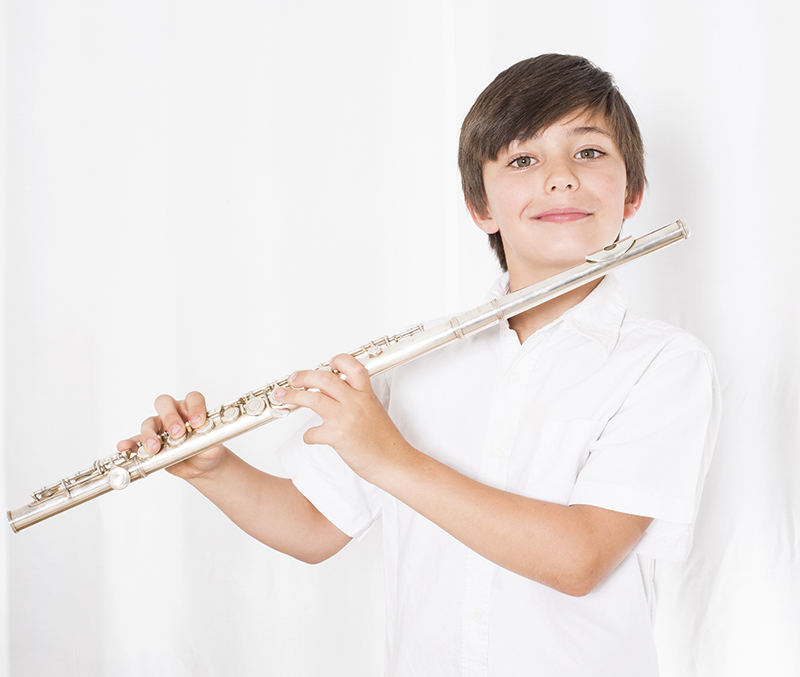 Why choose us for flute lessons? Vivaldi Music Academy offers music lessons in a variety of instruments. Our piano lessons, violin lessons, guitar lessons, viola lessons, cello lessons, voice/singing lessons, flute lessons, and drum lessons provide a comprehensive and robust music education . Group voice lessons/choir, ensemble/chamber lessons for experienced students, and early childhood music development classes round out the selection of experiences offered. Learn more about our music programs here.